I’ve no idea where that quote came from. Nor do I know which business or sport it referred to but it’s certainly true as far as the writing and promotion of books is concerned. After the high point of Mid-March, the last four weeks have been very much as I predicted. The lessons learned on my journey so far told me I had a mountain of work ahead of me to realise the full potential from the significant leap forward that Book Bub Featured Deal created. As I attempted to gather my thoughts on a possible theme for the new series and decide which option was best, I received a customer service complaint from Amazon. At that stage, it was only one title – the troublesome Boxed Set of the first four books in the Phoenix series – whereas in the past it was typos that rocked the boat, now it was a lack of a Table Of Contents. When I started self-publishing in 2013 my first outlet was Smashwords and once that initial book was through their strict processes, I felt confident my file would sail through the KDP set up. It did, and I continued using the same formatter ever since. What she thought I knew was that although Smashwords don’t insist on a TOC, Amazon changed tack some time ago and it’s now on the list of things they require. So, most of the past four weeks have been spent adding a TOC to each book and inserting links to the next book in the series. That was time I had assigned to the steep learning curve I knew faced me as I dug deeper into Ads on Facebook, AMS and BookBub. Sadly, although I’ve tinkered with those marketing avenues in a few snatched moments a lot of the impetus has been blunted by the ‘housekeeping’. How many times have I written on this Blog Page that progress has been slowed by another bump in the road over the years? I dread to think. Three steps forward, two steps back come to mind. In the end I decided to clear the decks, get the housekeeping behind me, park the marketing seminars and finalise the next phase of my journey. Breaking News. Coming by the end of 2019 the first books in a new crime thriller series. The Freeman Files – a six book series featuring a retired detective reviewing cold cases. A departure from the vigilante justice genre, but the police procedural has always been one of my favourite reads. What do I hope to bring to the party, where many other authors have gone before? When I read the comments on recommendations from BookBub followers I enjoy seeing words such as ‘wonderful characters’; ‘entertaining’; ‘great plot’. I believe that’s what I’m good at. I need to play to my strengths. The battle with the marketing strategy will continue. Any further ‘housekeeping’ tasks will be dealt with without delay. No matter what obstacles lie ahead I shall be back in the saddle writing in the very near future. We’re off on holiday next weekend. Time to chill out and think about those six plots, all the supporting characters and attention-grabbing titles & blurbs. I did say it was a holiday, didn’t I? Ah well, please refer to my opening sentence. Standing still isn’t an option. I’ll be back with all the latest news in early June. If you want to write to me, you know where I am, and I’ll be happy to hear from you. Best wishes. If February was ‘turning the corner’ month, then March could be an even more significant milestone on my journey. Let me rephrase that. On our journey. So many of you have been with me from the beginning and you know the bumps in the road we’ve had to negotiate. Those who have recently joined us have done so for the same reasons. Good reasons. The themes in The Phoenix Series have struck a chord somewhere inside you, or you simply enjoy the style in which the adventures are written. Events of the past 48 hours might bring even more fresh faces to our door. The more the merrier, I say. Two weeks ago, I was celebrating the confirmation of my first BookBub Featured Deal. That ran yesterday, Monday March 18th in the US. So how did it go? You recall my excitement over seeing my first #1 ranking on Amazon for Assassination Thrillers? Heck, yesterday I was grabbing screenshots all over the place as 21000 copies of ‘The Olympus Project’ were downloaded. #1 Crime Thrillers; #2 Mystery, Thrillers & Suspense; and #2 Thrillers in general. I reduced the price on #2 ‘Gold, Silver & Bombs’ until March 31st. Over 160 copies were sold yesterday. For some obscure reason, all of the remaining 10 books in the series had sales in double figures. Any concerns about the cost of the Featured Deal have melted away. I’m good to go to the next phase of progressing ‘read through’ for the series. Yesterday unlocked a vast potential. I’m not naïve. It will need a heap of work to realise that potential. Many thanks for sharing this journey with me. I couldn’t do it without support. Breaking news: – My wife, Lynne has started to badger me into writing again. Last year, she thought I was banging my head against a brick wall and should stop. Lynne thought we should be taking more holidays and visiting family and friends. At my age you can’t look too far ahead, but it appears I may be hibernating for up to ten of the next thirty months – resurfacing in time for our Golden Wedding in October 2021. Retirement – who needs it? All things being equal, I’ll be back early next month. February definitely felt like a ‘turning the corner’ kind of month. I experienced a warm glow with that first #1 ranking on Amazon at the start of the month. The follow up promotion two weeks later wasn’t brilliant but the unseasonably warm weather here in the UK meant it didn’t leave me with any chilly after effects. In fact, it was hard to stop wandering around with a cheesy grin on my face. Actual sales were 100% up on January and my website sign-up form had its links re-connected to Mailchimp. I hadn’t been able to welcome a new Phoenix member since October. In previous posts I’ve told you about my correspondence with other writers. Those who have been far more successful than me. I’ve learned far more through their willingness to share their wisdom than I could from reading the ‘How To’ books out there. I had just posted a review on Amazon for an Australian thriller writer. I think that made sixteen (or eighteen) titles now from two different series. He emailed me to say he had spotted my name on a site he also uses and asked how my recent promotion fared. It had generated a moderate return on my outlay and I took the opportunity to outline my strategy in general in the hopes of some useful advice. He took the time to reply with a detailed version of his own approach and some pointers that might benefit me. To give you an idea of the difference in scale between us; my annual marketing spend is around £2500. He spends $100 EVERY DAY on Facebook Ads, plus Amazon Headline and Sponsored Ads and giveaways through Booksweep/Book Funnel. My guess is he ploughs $50000 back into his business – and still comes up smiling! I swallowed hard. I couldn’t compete with that. I thought, it’s time to find out whether my books can cut the mustard. For six years I’d envied the small percentage of writers accepted by BookBub who then reported eye-watering numbers of downloads via a Featured Deal. I submitted #1 in the Phoenix Series on the 21st of February. It was a fishing expedition. I was confident the new covers would be a tick in the box. I thought the fact it was a completed series would be another positive. I hoped when they sent the rejection note they told me what needed to be done to fix the problems. If it was feasible within my budget I could regroup this summer and try again later in the year with a revised re-launch. Five days later I received the ‘Congratulations – you have been accepted’ message. I was over the moon. Stunned, but over the moon. MONDAY, 18TH MARCH 2019 will be my first BookBub Featured Deal. The rest of February was a blur I’m afraid. I wish I could tell you what I did to celebrate, but I spent the time in preparation for the big day. I gave books #1-#4 another brief edit. I added more reader magnets and standardised my Author Bio. I asked for advice on how to discount books #2 & #3 to encourage a fast follow-through in the weeks after Deal Day. I revised all the short stories I had written and prepped them for new members. Since October, when the link broke between my website & Mailchimp there have been no new faces and the promise at the end of the updated books of ‘a free short story for every newbie’ has been redundant. It’s early March now and the 18th seems a long way off. I have one more decision to make. What to do with the Boxed Set? I thought setting the list price at $3.99 was sensible at the time back in December. It’s one-third of the list price for the individual titles. That’s a very healthy discount. 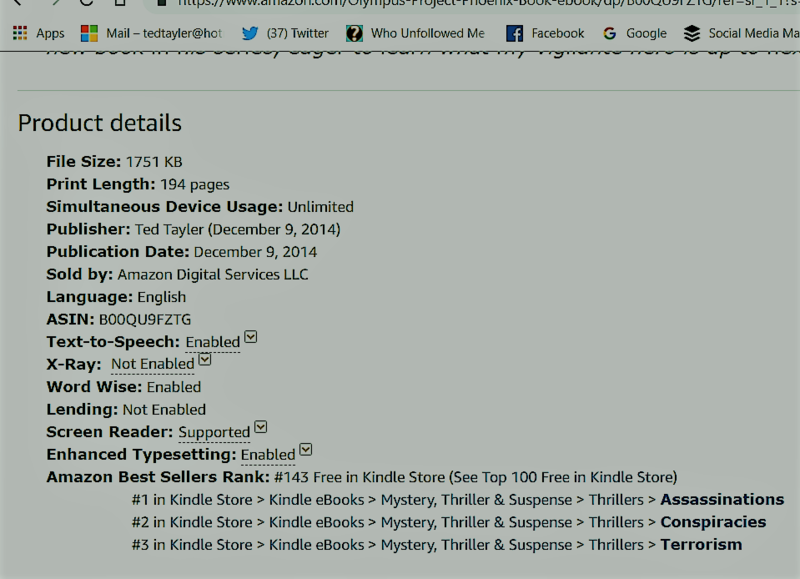 On the 18th, book #1 will be Free and being offered to 2.7 million US Thriller readers. I want as many of those interested in the series to grab the early books and hope that encourages them to read all twelve books in time. I need to discount all 4 books in the Boxed Set to $0.99, so purchasing them while the discount is ‘live’ saves money against the $3.99 the Set is already showing. What are my options? I could unpublish the Boxed Set. It has had its issues, as you are aware. The majority of my bad reviews were given to the Set in its first edition. It’s had several editing overhauls since then but those reviews won’t disappear as long as the book is still ‘live’ and published. Another option would be to raise the price, to bring it more in line with boxed sets offered by another prolific thriller writer I’ve corresponded with in the past year. That could still show a decent discount against the full list price. Everything’s changed since that acceptance email. Everything and nothing. 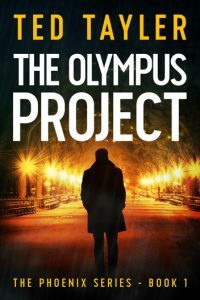 If I can get a Featured Deal on ‘The Olympus Project’ and achieve an average return of downloads on the day, then I don’t need to alternate my promotions between the first book and the Boxed Set any more. I can concentrate solely on book #1 and run discounted periods of time on books #2 & #3 whenever I get a repeat deal. Instead of lots of small amounts across dozens of sites every two weeks, I may be able to run four or five big promotions through the year, supplemented by some of those ideas from the land Down Under – Headline, Sponsored, Facebook Ads. I’ll update you in early April on what happens on the 18th March. There have been so many bumps in the road I won’t allow myself to believe that corner has actually been turned until I check the road is clear. No matter what happens, that acceptance message was a welcome boost. The covers must be good. What’s between them must be better than I thought. Only 10 to 15% of books are accepted for those prized Featured Deals. Someone once said ‘there’s no such thing as an overnight success – if it happens it usually means you’ve been doing lots of small things better every day for a long time and not giving up’. That was the plan. If it doesn’t turn out to be a giant leap, it will still be another small thing done better and I have another reason NOT to give up. Another box ticked? More of that later. First, I want to introduce you to Nicky Blue, the comedy writer who approached me with a view to collaborating on that project I alluded to in my January post. Nicky is from Brighton in England. He grew up fascinated by books like Roald Dahl’s Tales of the Unexpected and TV shows like The Twilight Zone. For years he played and wrote songs in an alternative rock band before going back to university and studying English Literature and Philosophy. He has a passion for writing fantasy and dark comedy fiction. Stories that dig beneath the surface of everyday life and play in the shadow worlds that we all have. In return for an honest review of his book Nicky made his twenty thousand followers aware of my thriller series. Nobody turns down free publicity. It was a no-brainer. You know me well enough by now to appreciate that there are always highs and lows. I’ve had to negotiate significant bumps in this Long, Hard Road just like every other writer who’s ever lifted a pen. I’ve relied on Canva for the designs I use to promote my work on all aspects of social media. In January they switched to Canva 2.0 and it’s so much harder to use. I’ve struggled to find everything I was familiar with and every time I sign in, I get pestered to go Premium. It’s not what I want or need. New pastures might be required, but that brings its own ‘bumps’. Continuity and consistency is everything. Will that mean spending weeks developing new designs because I can’t get an exact match to what I have already? So, returning to this post’s headline, which box did I tick? I’ve often marveled at authors whose profile highlights the fact they’re #1 Best Selling Authors. When I’ve dug deeper some have achieved that across the board on several occasions, but many have probably only hit that prized #1 spot in a single category. 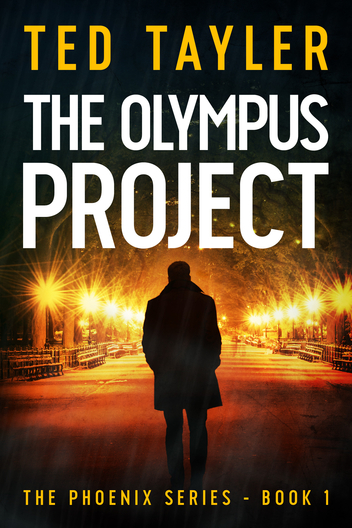 Yesterday I ran a Freebooksy promotion on The Olympus Project. The return was as good as could be expected with a thousand plus copies downloaded. All the work I did last autumn is starting to bear fruit. The great new covers by The Cover Collection are a significant factor. The refreshed blurbs have an input, plus the increase in keywords on KDP that open fresh categories where my books can feature. Yesterday evening for the first time in the six and a half years I’ve been writing fiction I hit the #1 spot. I took a screenshot for posterity. It might be my only highlight. (OK, I took the screenshot to be able to back up my revised profile details that might casually mention I’m a #1 Best Selling Author) If anyone doubts the veracity of that claim, you can tell them you’ve seen the evidence. If you love thrillers with assassinations, conspiracies and terrorism I’m your man. 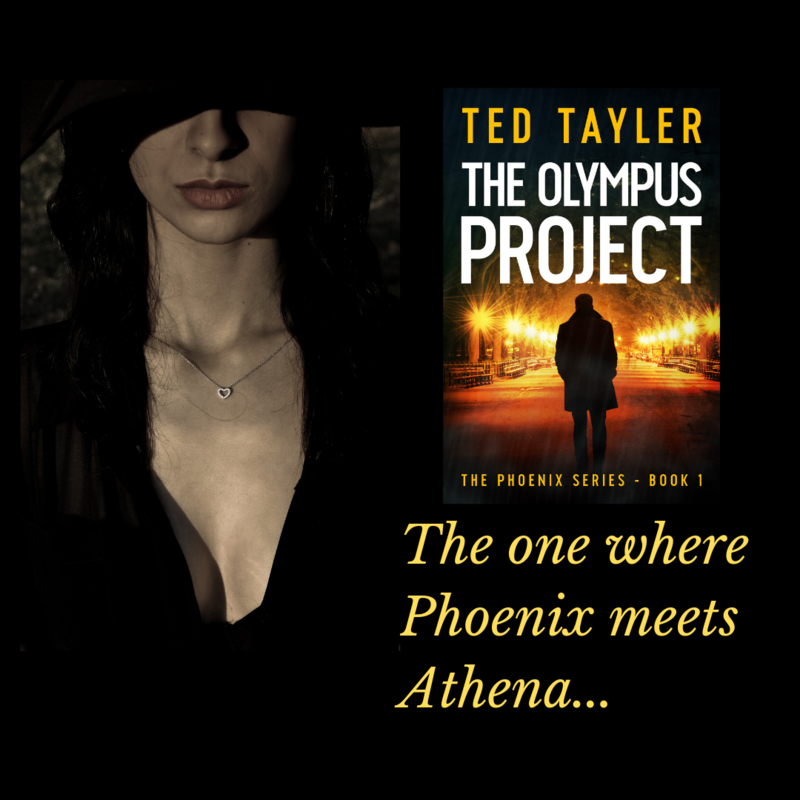 Another Olympus Project promotion follows two weeks from yesterday. Who knows what the future will bring? Further collaborations inspired by my Instagram posts? More bumps in the road from problems yet to reveal themselves? Whatever it is will be eventful I’m sure. Why not return in early March for a catch-up? You’ll be most welcome. Welcome to my first blog post for 2019. How true that headline statement is as everything looks different on every social media site featuring my books. The old covers for The Phoenix Series have been consigned to history. Just as we have left 2018 behind us hoping for a brighter year ahead, I’ve got a new look with which to enter 2019. After two and a half years of offering that first book in the series permanently free, I’ve changed tack. All 12 Phoenix books are now priced at $2.99. Book #1 will be free via KDP Select only on individual promotion days (such as today (2nd Jan) or in two weeks’ time (16th Jan). Both the Box Set and Conception (the Birth of The Phoenix) have new covers with Typography/Font matching the new Phoenix collection. Everything has been done to maintain a constant picture across the board. What else has changed? The blurbs for the books have been refreshed. The revisions are punchier and more relevant than before. The keywords that help the reader find the series in the forest of other thriller writers out there are also significantly improved. I’m in better shape than at any time since I started this journey into fiction back in 2013. Will there be further books? A new series, perhaps? I don’t believe so, but I am considering writing more short stories, which would include the early lives of Phoenix characters such as Rusty Scott, Annabelle Fox and Henry Case. Traction from Instagram (#instatraction) continues to bear fruit. It’s early days, but I’m hoping a new partnership will be formed in the coming weeks which will take my marketing to a new level. Watch this space. My 2018 goals were: – To complete The Phoenix Series; to promote the box set, #1 in the series, and the complete series whenever possible. The strategy was to maintain the 20000 downloads level, to entice more readers to BUY books 5-12; and to continue to enjoy life. How did I do? I only achieved 18500 downloads in 2018, but actual sales were 50% UP on 2017. Page Reads also contributed a decent amount to the royalties received. What were the downsides? The lack of downloads was due to the search for new covers, fresh blurbs and a general ‘stock-take’. So, I don’t consider that a failure. While I used November/December to reappraise everything and scrapped any promotion activity I put all of the books (except #1) into Kindle Unlimited. I had hoped the income from Page Reads would pay for the new covers. The sad fact was very few people grabbed the opportunity to read the books until the new covers arrived in late December. There was a sudden flurry of activity over the festive period which reinforced the urgent need for them. Fingers crossed, that flurry will continue well into 2019. Do I have specific goals for 2019? I don’t believe they have changed. The writing is all but done. The marketing will concentrate on #1 and the box set. The promotions budget will remain at the same level. As I haven’t got 3 books to complete this year I will focus on what I could do to increase my conversion percentage viz. getting more people reading the whole series after grabbing The Olympus Project or the Books 1-4 Box Set via a free promotion. I’ll be back in early February with an update – or sooner, if I have exciting news. If you want to join my select mailing list, why not join The Phoenix Club? Newsletter (#33) will be circulated very soon. This could be the first time I’ve coined a new word. I doubt it will catch on, but there you are. When life deals you a few negatives it’s important to recognise a rare positive. October did indeed turn out to be a testing time. The promotion was a disaster. I had my lowest return in downloads for eighteen months. Added to that my sales figures fell off the edge of a cliff. Many theories were spread on social media to explain the drop and it was reassuring (almost) to learn I wasn’t the only writer to suffer the same fate. As I understand it, Amazon made a raft of changes, they switched servers and odd scraps of data went missing for a while as they got up to speed. 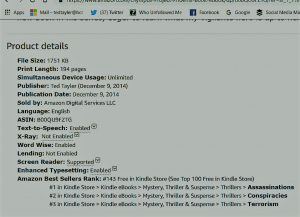 Some authors found their eBook data was 100% intact, but overnight they were no longer offering a paperback version. Rather than tell everyone there might be a problem, Amazon chose to wait for those affected to shout. My attempts at producing fresh covers wasn’t successful. I managed to create 12 new covers, but experts advised me against making the switch. They still screamed ‘amateur; so, I’m searching through Thriller pre-made covers for a themed approach to The Phoenix series. (I have selected 10 out of 12 at time of writing). Last month I updated my genre family & keyword data. In the first two weeks of October I re-wrote the ‘blurbs’ for the 12 books in the series. I was looking for more impact. I’m happier than I was before. It remains to be seen whether they work with the new covers when they arrive. I’ve scheduled a promotion for the 12th November. The last time I used Riffle Books (for the Box Set) it generated 1500 downloads. I’m praying for a similar result on ‘The Olympus Project’. When I opened my Instagram account I posted book-related images and backed them up with humorous pics. In October, I added two dozen hashtags to every image & POW! I suddenly got traction. Loads of likes. Loads of Profile visits and new followers at a steady rate. It’s the only flower in bloom in my window box at present. We’ve been there before. Nil desperandum. When the new covers are ready, I’ll have a ‘new look’ to plug across all of my social media accounts. The New Year promises to be busy. The only way is The Phoenix way. Onwards and upwards. If you want to join my select mailing list, why not join The Phoenix Club? Newsletter (#31) will be circulated very soon. If there has been one thing I’ve learned in the past six years it’s that nothing ever stays the same for long. There have been changes to cope with on every aspect of social media. Some have a major impact, most are minor irritants. I complained bitterly that it was a real bind needing to contact KDP & Createspace in both the US and the UK to get anything done. I would love to believe they listened! Either way, Createspace has disappeared into the giant maw of the Amazon beast. If I was still writing, it would have cut my work in half. Typical. Twitter had a massive clear-out of fake accounts in June, leaving me five thousand followers light. C’est la vie. Bigger accounts lost millions. Less is more. Small is beautiful. It’s not all bad. None were accounts I followed back anyway. Then Twitter woke up to the practice of some account holders flooding the timeline with the same tweets. I worked with a book promoter four years ago who did this. He had 10 accounts, posting your customised tweet half a dozen times per day on each platform. Of course it was annoying. No, it didn’t bring much in the way of reward. It was money down the drain. It’s a practice I’ll be glad to see the back of. Buffer advised me last month to create brand-new tweets every month, just in case my schedule infringes the new Twitter rules surrounding such tweets. I have a four-weekly cycle on my platform, where the wording may be similar but the image is always different; and I vary the tweets across every title I’ve written. Variety is everything. I’m going to tough it out. In comparison to those multiple posts across multiple accounts, mine is almost negligible. Anyway, who can dream up something original to say every five minutes? I’ll continue to tinker with things & hope to fly under the radar. Life’s too short. Talking of that, I’ve used my spare time during August researching my family history. I’ve discovered my grandfather had two sets of twins in his family. I never knew that. One twins, Eliza died in 1889 before her first birthday. The next pair survived into their 70’s. My great grandfather had 10 children, but only half of them reached maturity. When the census was held in 1851, Isaac was in prison. The case never got to court. He was drunk & disorderly on Saturday night. The census was on the Sunday. Can you blame him? Life was hard back then. People complain today, but compared to those days they don’t know how lucky they are. On a more positive note, it’s over seven weeks since I had a blank day on sales. Exactly, every day has seen a new reader, or someone coming back for more. Happy days. To keep the fire burning I’ve set out on pastures new. I’m running more ads with my tried and tested promotion sites, plus a a new venture with Bookbub. Their relatively new offering is similar to the Amazon Sponsored Ads in style & make-up. I’m hoping for good things. I’ll report back next month. At some point I’ll try the Facebook and Amazon Marketing Services route for new readers again, but it’s not cheap & I need to check my ROI on the ads I’ve run this year. If I’m in a strong financial position, I’ll give it a concerted crack. To see if I can turn this slow-burning fire into a blaze. Nothing ventured, nothing gained. 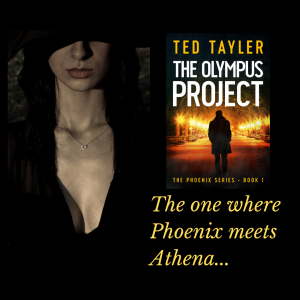 If you want to join my select mailing list, why not join The Phoenix Club? Newsletter (#29) will be circulated very soon. Somewhere, there’s an interview where I stated my favourite book was ‘A Tale Of Two Cities; by Charles Dickens. I took the liberty of paying homage to the great man in my final novel. Not for the first time, I slipped some of my titles into the dialogue too, for good measure. So, you will come across ‘nothing is ever forever’ and ‘a new dawn’ as you read ‘Larcombe Manor’. You see? I did it again. Eighteen titles in six years was hard graft. Not the writing, because I loved that part. It’s been the marketing that’s made it a long, hard road. With no more books to write, I only have that to concentrate on as I move forward. Will I get bored? Or is it more likely I’ll get frustrated and pack it all in? That’s the question now. Where do I go from here? I’ve explained my reasons for making #12 in The Phoenix Series the last book. To discover what they were you’ll need to read ‘Larcombe Manor’. I also tried to acknowledge everyone who helped me in the past six years. If you were among that number and won’t be reading the book, I’ll thank you now for everything you’ve done. The initial plan is to maintain the social media presence and to promote the books with what funds I can muster. Will I miss the writing? Of course I will. I thought I would produce more blog posts on various topics, but I don’t think that’s going to work. It’s not really my thing. Perhaps, I’ll post book and gig reviews here as well as the occasional update on my progress. I need to keep this site ticking over, in the vain hope that more people discover it. I never set out to be a writer. This past six years was an accident. Is it any wonder I’m asking myself – where do I go from here? Keep cool in this sweltering summer. I’ll be back with something (?) in August.